I have talked before about how much Riley loves his name. You know how when you have a child, and their name just fits them? This is Riley. He is 100% a Riley. He loves his name so much, that whenever he sees personalized products he is always excited to find his name. 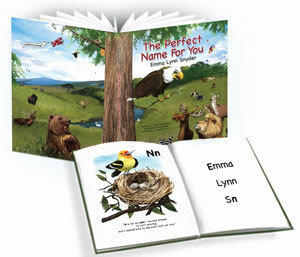 The Perfect Name for You is a personalized storybook filled with adorable animals that celebrate your child's birth by spelling the perfect name letter by letter. Each animal brings a letter for a favorite thing - The elephant brings a T for trunk, the chipmunk brings an N for nuts, and the puppies bring a Y for yard - until your child's full name is spelled and declared "The Perfect Name for You!" Riley LOVES reading the book, and seeing his picture on the title page, he knows the book is all about him. We also had the opportunity to review the Twilight Sea Turtle which is a great nightlight for kids. This friendly turtle will be your child's best nighttime friend! It transforms any room into a starry night sky. From his plastic shell, Twilight projects a magical constellation of stars onto the bedroom ceiling helping to ease children's fear of the dark, and soothing your child to sleep with a variety of colors shown to relieve stress and anxiety. Educational! Twilight illuminates five endangered animals, and comes with a Twilight Storybook and Star Guide. I have actually had a really hard time with Xander getting him to sleep in his own bed (at 8!) but with this, he is more than happy..it turns out he is just really afraid of the dark. The Twilight Sea Turtle is great because it has a timer. I set the timer for 45 minutes, and every time I check on Xander after it's gone off, he is asleep. 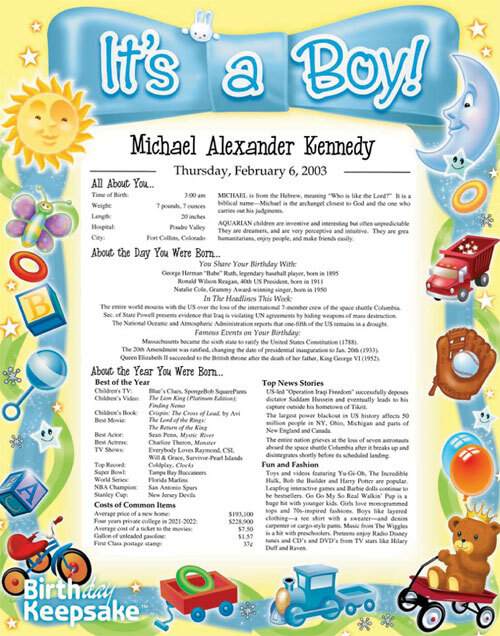 Bkeepsakes.com offers so many different personalized products like these Day You Were Born prints. These are available in assorted boy and girl colors and themes, they make great new baby gifts! One reader is going to win a $25 BKeepsakes.com Gift Card! Please enter using the rafflecopter form below. Good Luck! In a big Plastic Tub. I don't think that's the right question for this giveaway but we store our legos in a plastic bin. We store them in a Rubbermaid tub and his mini figures are in a drawer. I store them in a pink basket. I store them in a crate.